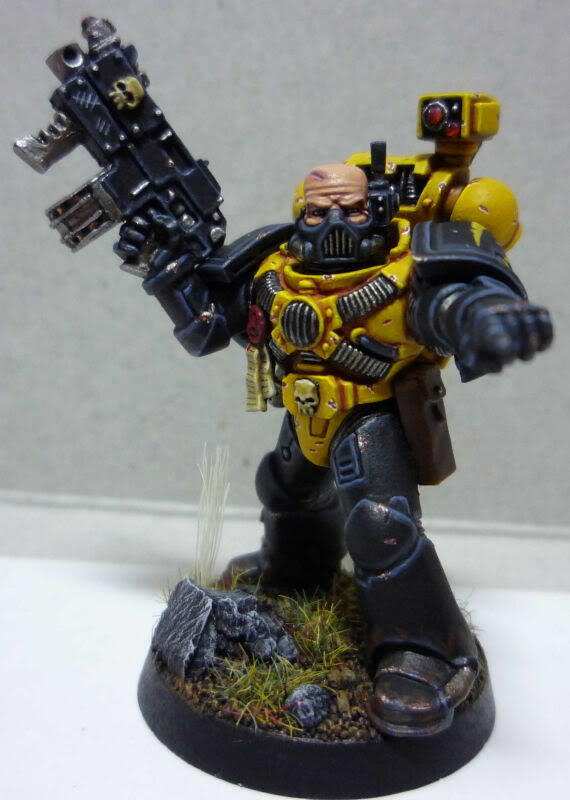 A long serving veteran of the Scythes, Brother Draco is an expert in ship boarding actions and has been involved in the successful boarding and destruction of eight Tyranid hive ships from Hive Fleet Kraken, more than any other brother in the chapter. 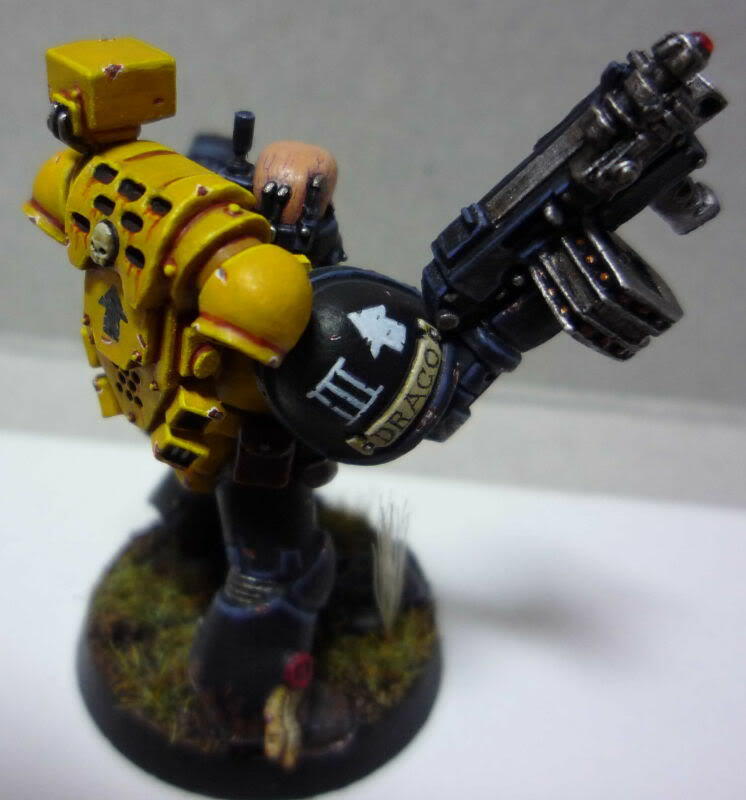 Draco’s custom boltgun is designed to be able to put down bursts of fire with maximum control, pefect for the close quarters of ship boarding. 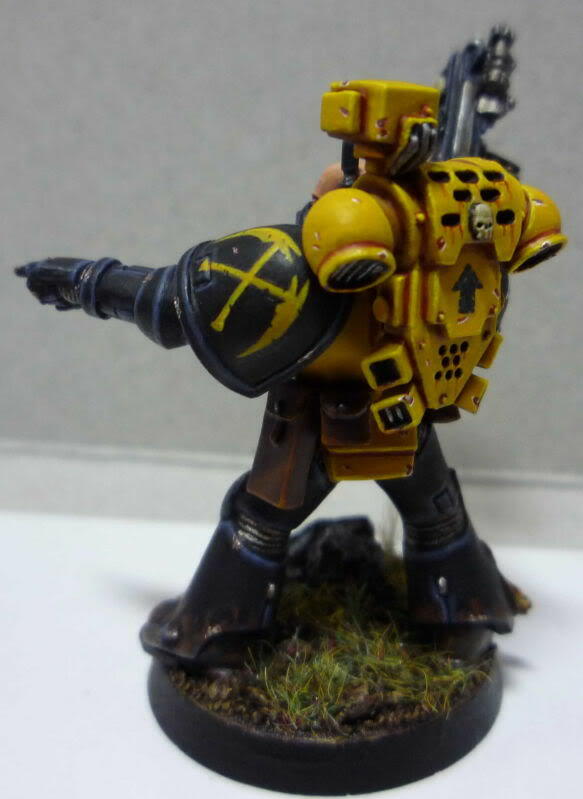 Hey, what is that bolter piece from? Hi Jon, apologies for the delayed reply. When you say piece, which are you referring too?